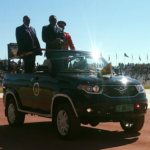 NAMIBIA has undergone a tremendous transformation over the past 29 years and it was brought on by the hard work and dedication of the nation to remain steadfast in their battle against the scourge of poverty. 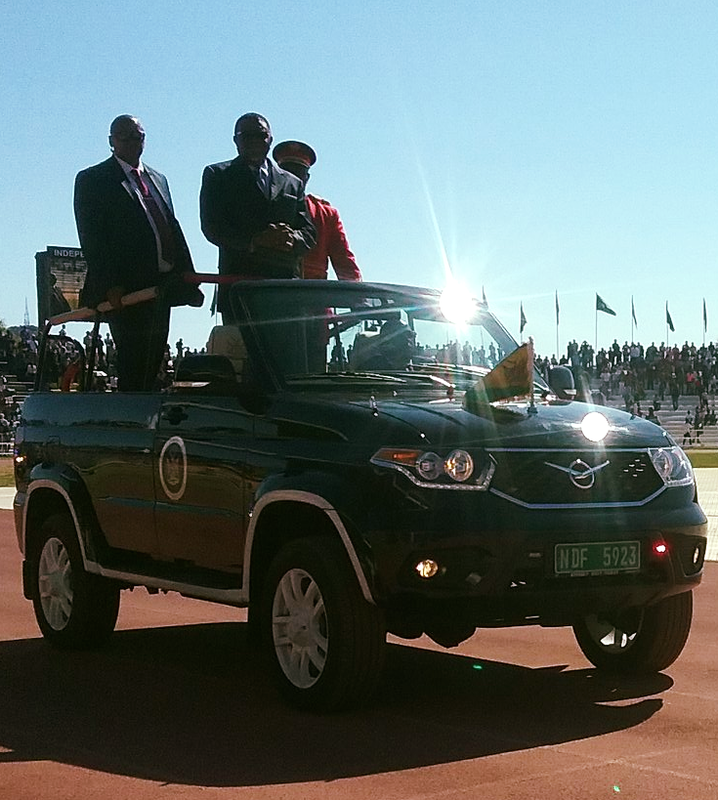 Dr. Hage Geingob, the President of Namibia addressed the Nation and the world during the 29th celebration of the county’s Independence and said the people have done well but more needs to be done to achieve economic freedom. Dr. Geingob said Namibia is recognised regionally and internationally because of its respect for international law, human rights and human dignity. Fellow Namibians, visitors, residents and friends of Namibia. It is my honour to address you on this momentous day and in so doing, join you in celebrating our 29th Independence Anniversary. This is a day we celebrate the rewards of the struggle, waged by selfless women and men, whose blood nourishes the roots of our tree of independence, yielding the fruits of self determination, sovereignty, freedom, liberty and justice. There is an old African proverb that goes, “However far a stream flows, it never forgets its origin.” In essence, this proverb encapsulates the reason why we revere this historically special day in our nations’ calendar. Although the stream of independence has flowed for 29 years, we shall never forget its origin, we shall never forget our struggle and we shall never forget the sons and daughters that made our freedom a reality. It is not a secret that our fight for independence won us many friends, whose invaluable support, helped sustain our resolve, even during the most daunting moments of our struggle. The defining moment of this struggle took place during the climatic and legendary battle of Cuito Cuanavale, where Cuban, Angolan and SWAPO forces formed a triumphant tripartite to inflict heavy losses on the racist Apartheid Regime occupation army of South Africa. It is for this reason that March 23 has been declared Day of the Liberation of Southern Africa; it is for this reason that we shall be meeting at Cuito Cuanavale on this day to commemorate the 31st Anniversary of this battle. This is the reason I say that Namibia is a Child of Pan African and International Solidarity, midwifed by the United Nations. It is always pleasing to be able to celebrate one’s anniversary in the company of friends and today, amongst many of Namibia’s regional, continental and international friends present here; we have a very special friend in our midst. Last year, I had the honour to attend the commemoration of Kenya’s Heroes Day – Mashujaa Day at the invitation of a Dear Friend and Brother. At this event, I narrated the fact that Namibia’s freedom was attained due to the Pan African bond we share with our brothers and sisters in Africa. When Namibians were victims of Apartheid aggression, the people of Africa stretched out the hand of solidarity. to remain behind for three months, to help maintain stability, at the cost of the Kenyan Government. Uhuru Kenyatta and the Kenyan delegation, who have joined us to partake in today’s festivities. Thank you for accepting our invitation to join us in commemorating this special day. Karibu Your Excellency. Anniversaries do not only offer us an opportunity to reflect on where we have come from. They also offer us an opportunity to take stock and reflect on where we are today and where we are heading in the years to come. When we gathered in Windhoek, 29 years ago to witness the lowering of the Apartheid flag for the last time and the raising of our national flag for the first time, it marked the transition from old to new. Independence did not only bring with it new opportunities but new challenges. The struggle for political independence was won, but the struggle for economic independence had begun. As a nation, we have made significant strides over the past 29 years. We have established the firm foundations of democracy, unity, peace and stability, and used them to develop a robust governance architecture, characterized by well-functioning processes, systems and institutions. Our track record in governance has been recognized both regionally and internationally and we are committed to continue strengthening our principles of effective governance, respect for the rule of law as well as respect for human life and dignity. In this vein, we will continue to channel material and intellectual resources towards the strengthening of laws, policies and programmes directed towards combating crime, illicit substance and alcohol abuse, child abuse and gender based violence. We remain steadfast and resolute in the pursuit of our ultimate objectives of economic emancipation and concomitant prosperity. The first course of action in this regard is to arrest the spread of the scourge of poverty within our society. For this reason, upon assumption of my Presidential responsibilities, four years ago, I declared a war on poverty and corruption. We have made tremendous progress over the years with regards to fighting poverty. We also made progress in fighting corruption by being transparent and accountable and by so doing, building trust for Transparency + Accountability = Trust. Very few countries have been able to achieve poverty reduction rates like Namibia has achieved since Independence, so one can assume that with a new targeted approach towards combating poverty, we stand to make even more inroads than before. In absolute terms, more than four hundred thousand Namibians were lifted out of poverty during the period from 1994-2010. Furthermore, the introduction of targeted social safety nets, including old age and social grants for people living with disabilities; orphans and vulnerable children, have played a significant role in reducing poverty levels in Namibia. We are cognisant that income inequality remains a problem in Namibia. This remnant of the Apartheid legacy is a lingering thorn in the flesh and a hindrance to our developmental efforts. In this regard, government will continue to formulate a legal framework focused on reducing the income gap. While we are committed to upholding the principle of fundamental rights as enshrined in our Constitution, which include the protection of private property, we recognise the urgent need for land delivery as a means to reduce poverty in the country. The successful Second Land Conference of October 2018, was a pivotal moment in our nation’s history and a definitive step towards effectively addressing the land issue in our country, and thereby restoring the dignity of our people. Modern and well-maintained infrastructure is the cornerstone for economic growth and job creation. Since independence, government has invested heavily in infrastructure development and maintenance. This investment has led to significant strides in infrastructure development and today, Namibia boasts some of the most modern infrastructure networks on the continent. 1.The Rehabilitation and upgrading to dual carriageway of the Windhoek -Okahandja Road in the Khomas Region. 2.Upgrading to a dual carriageway of the Windhoek – Hosea Kutako Airport road in the Khomas Region. 3.Upgrading to bitumen standard of the Swakopmund – Henties Bay – Kamanjab road in the Erongo and Kunene Regions. In the independent Namibia, Government has ensured that no region, city, town or village is cutoff from our national road network. We will continue renovating, upgrading, maintaining and expanding critical sections of the transport network with a view to ensuring safe and convenient travelling; stimulating economic activities, and facilitating movement of goods and services within Namibia and across our borders. The successes that I have highlighted are indicative of the fact that Namibia has undergone a tremendous transformation over the past 29 years. The Namibia of 2019 is a far cry from the Namibia of 1990. This, coupled with our hard won freedom, is an achievement worthy of celebration. To the very few who are saying that “There is nothing to celebrate, I say, Yes there is a lot to celebrate! This progress has buttressed our efforts to create a united, peaceful and prosperous society. We have done well but we are aware that more needs to be done. We must continue to work hard to ensure that we deliver expected goods and services to the people. As we revel in the celebration of our freedom and independence, the fact that some of our citizens are bearing the heaviest brunt of the economic slowdown is not lost on government. We are aware that some of our workers have lost jobs and thus their incomes and are suffering and facing uncertainty. Yes, we are aware of that. Let me assure you that you are not alone, we understand your dilemma, we empathize with your predicament and we are working around the clock to ensure that we restore economic growth and job creation. Equally, the sustained drought conditions have economically weakened most of our farmers, who have either lost large numbers of cattle or will not have a harvest this year. Within the limited budgetary means, Government will continue to assist these farmers through the line Ministry. It has been said that the most challenging times bring us the most empowering lessons, and in the year of our 29th anniversary of independence, one important lesson that our current challenges have taught us, is the need to be accountable for our actions. By being accountable for our actions, we can build a stronger Namibia, a more vibrant Namibia and more prosperous Namibia. We should therefore remain united in purpose, committed to the common good of our people and dedicated to the building of a prosperous and equitable society. I stand before you with confidence and an unwavering belief that we are a nation capable of overcoming the most daunting of challenges, we are a nation capable of achieving the greatest ambition and we are a nation that will stand the test of time and mature into a society characterized by economic progress and shared prosperity. Now, more than ever, we must understand that together in vision, together in purpose and together in commitment, we will sustain our national development and continue on the path towards our economic independence. I am therefore confident, that we can continue progressing politically, economically and socially, if we all work as One Namibia, One Nation, by pulling together in the same direction in the spirit of Harambee and putting the love of our country first. Every generation has an obligation to serve with conviction and unity. Let our young people be spurred by the giants of our revolution and build on their legacy; exploring and promoting ideas that are both radical and sustainable. 29 years ago, we witnessed the end of the nightmare of Apartheid. For the first time our people could dream of a better life. A life free from the shackles of racism and discrimination, a life where one can pursue education, a life where one can maintain good health, a life where all Namibians can share in the beauty and wealth which God has bestowed on this blessed land. 29 years later, let us come together and hold hands to ensure that every Namibian is able to realize the dreams fought for, by those whose blood waters our freedom. May you all have a wonderful Independence Anniversary and May God continue to bless the Republic of Namibia.